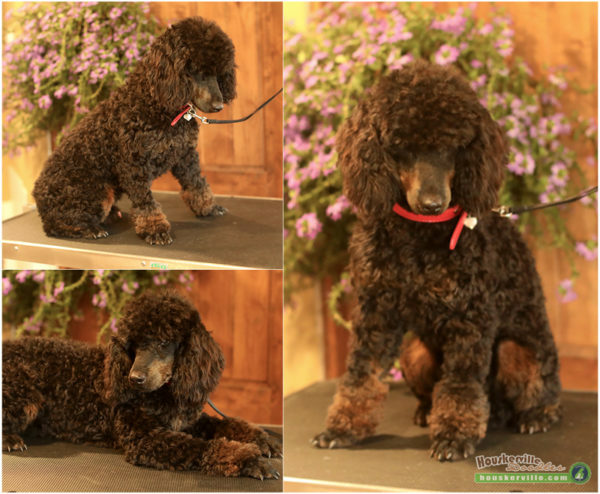 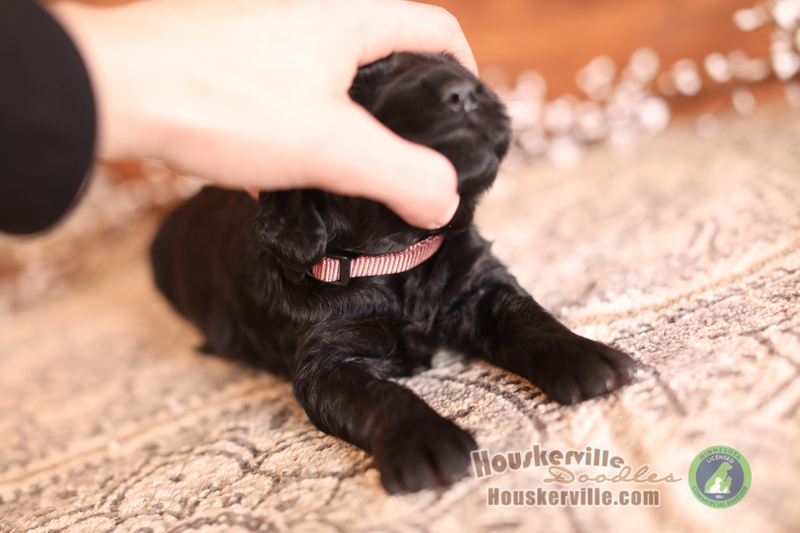 These puppies are estimated to mature to approx. 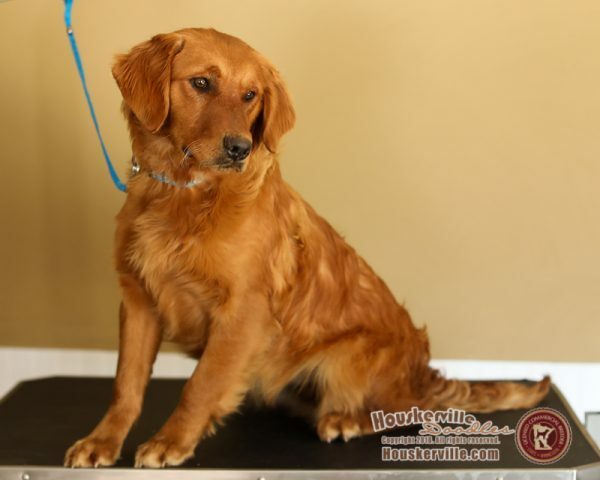 25-35lbs. 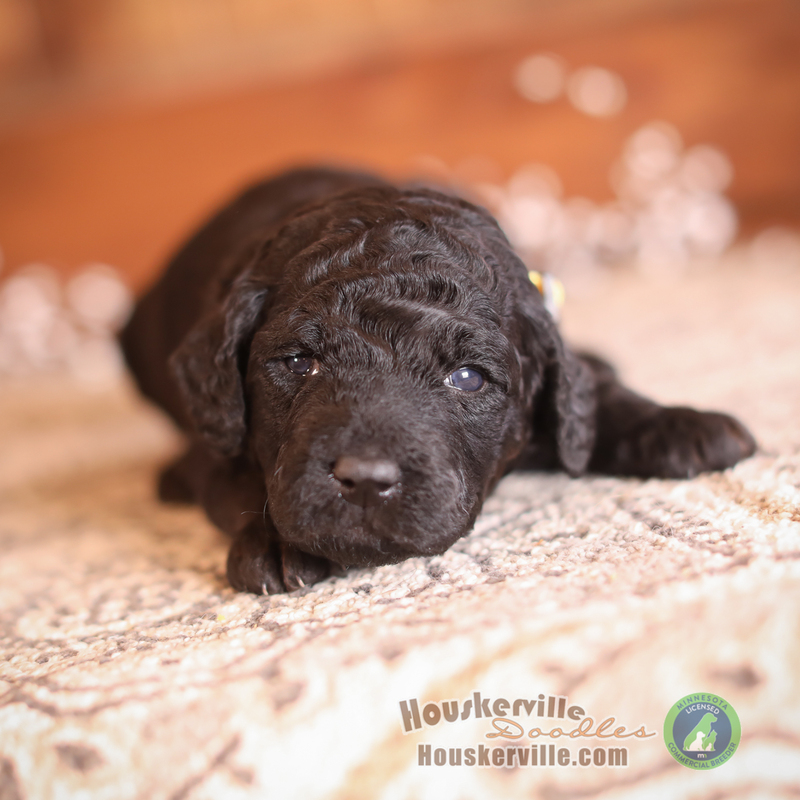 Scroll down to see photos of the parents! 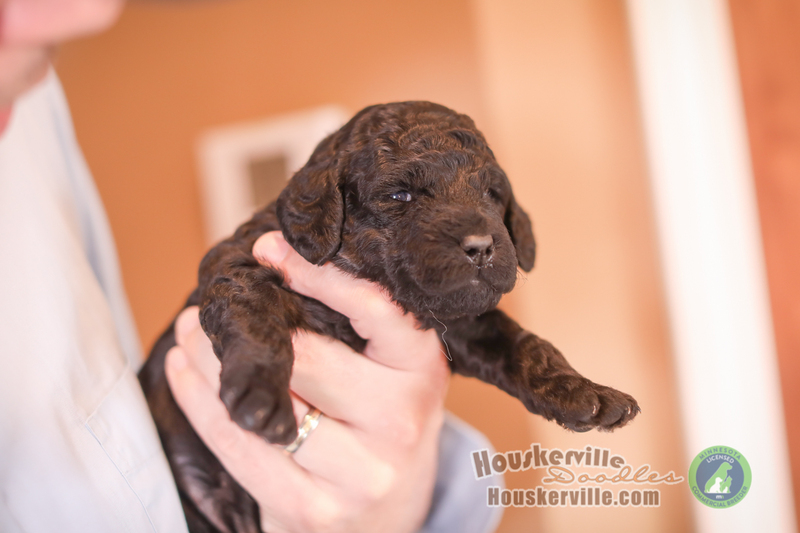 We have ten mini’s! 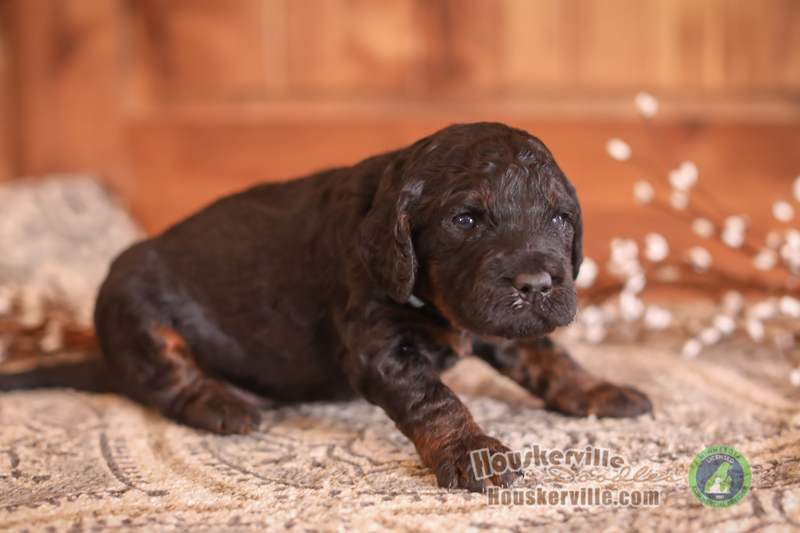 One phantom (black & tan) color, and nine black. 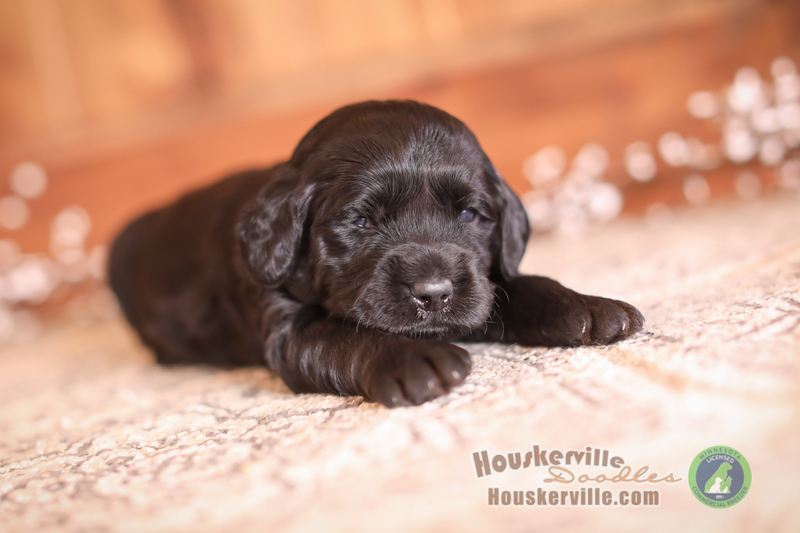 Please email us if you’re interested in a puppy from this litter, by clicking here. 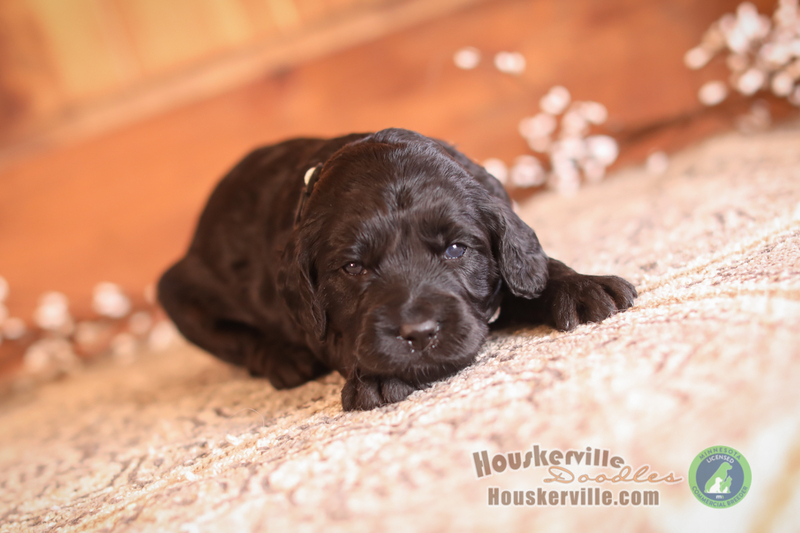 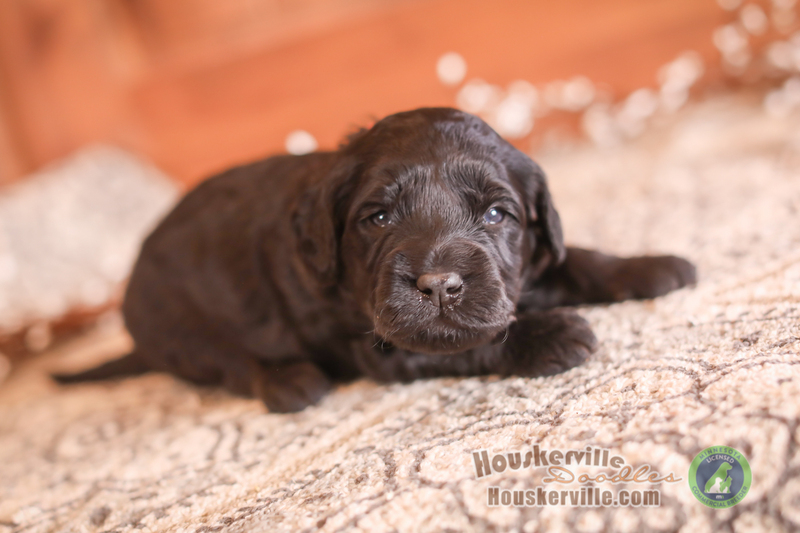 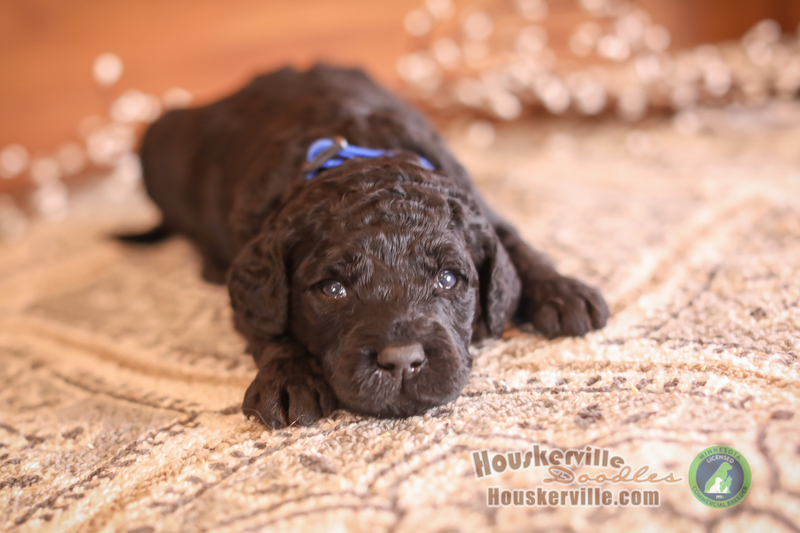 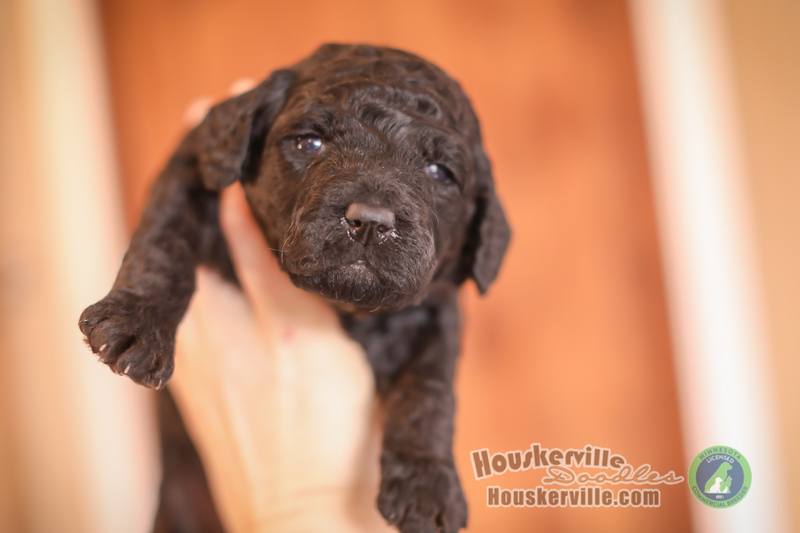 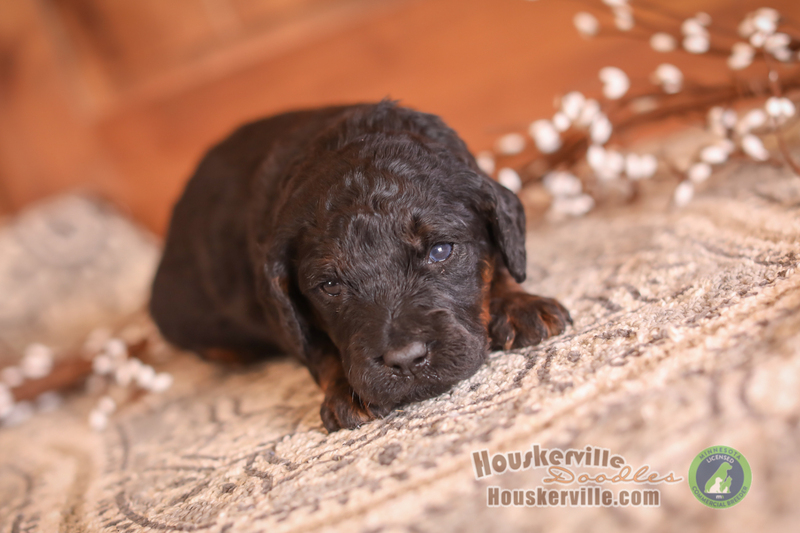 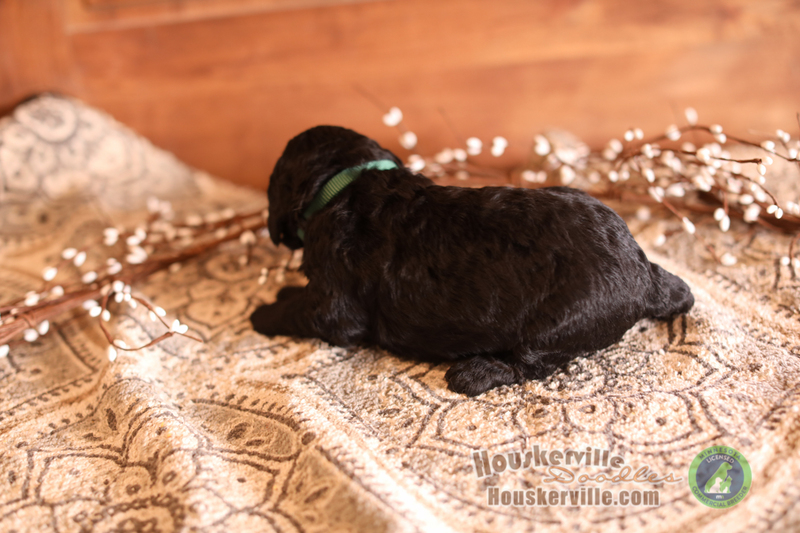 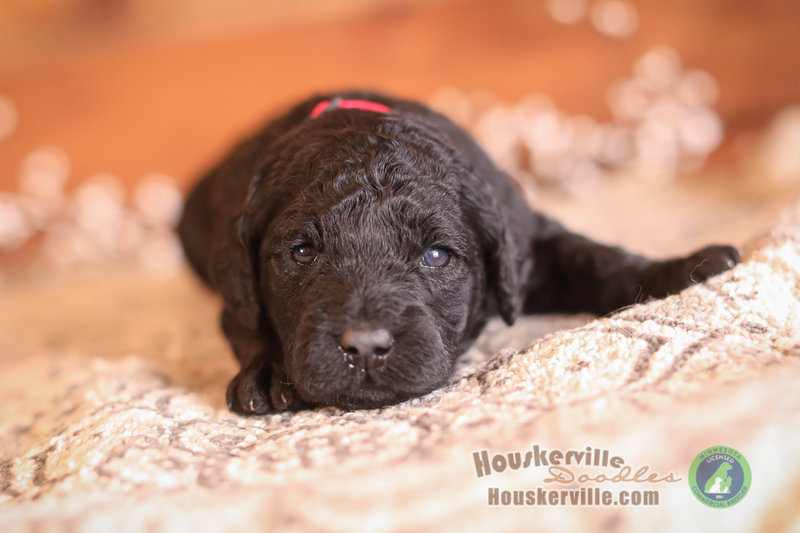 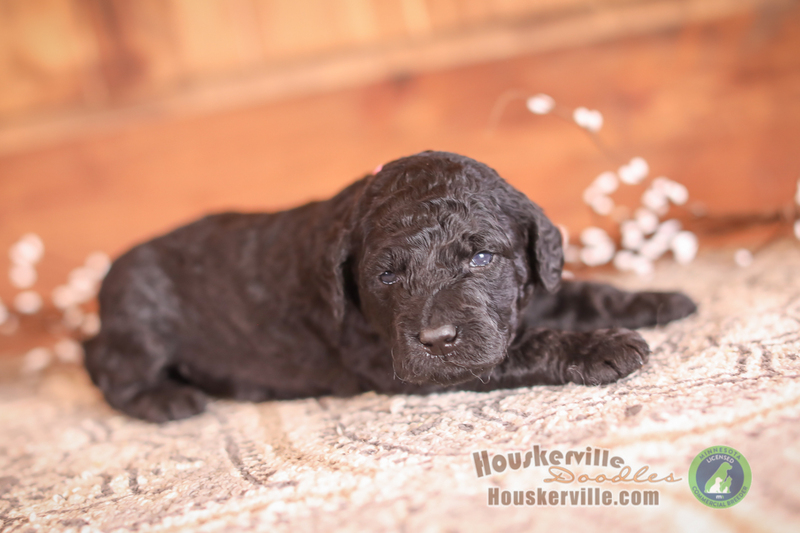 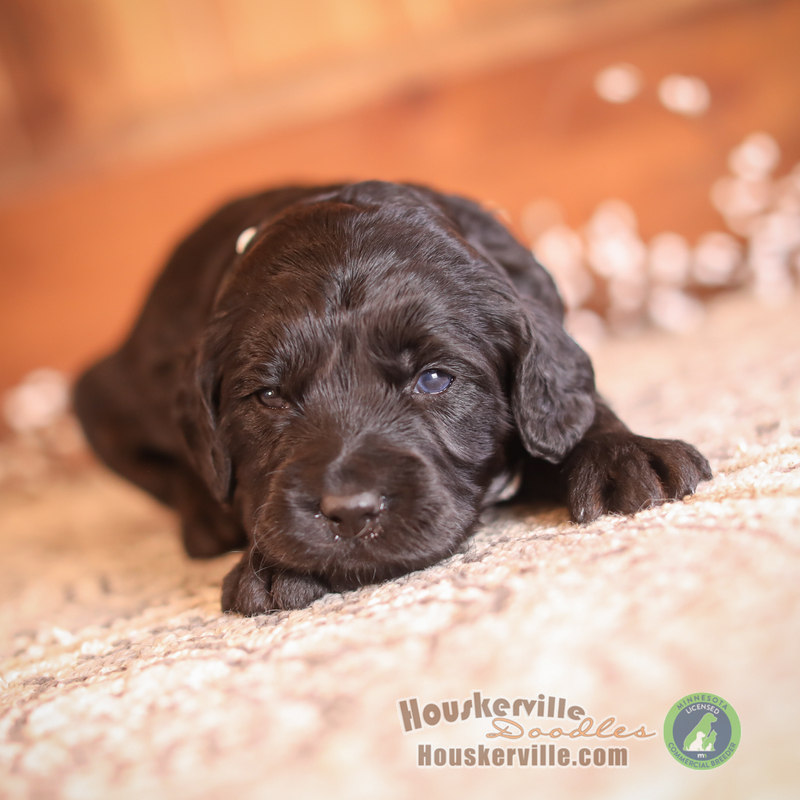 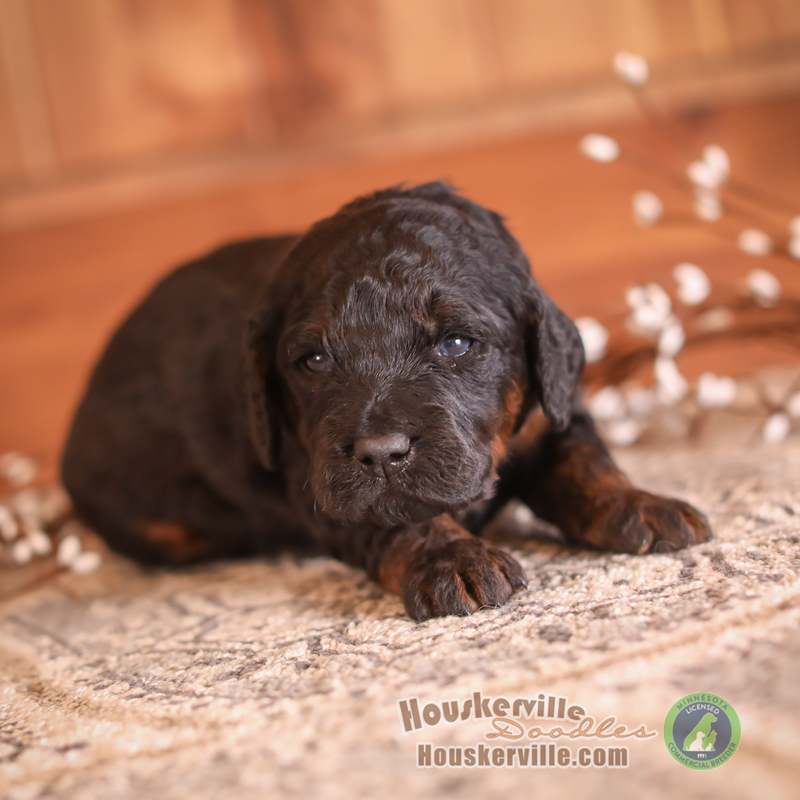 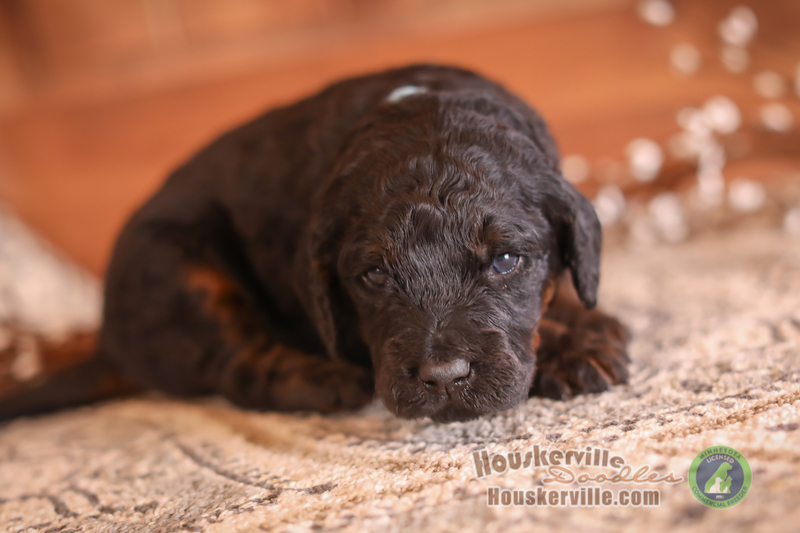 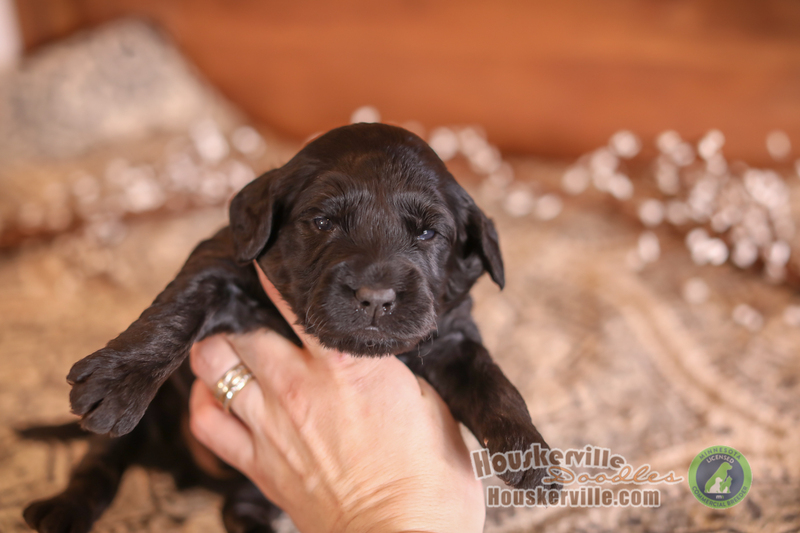 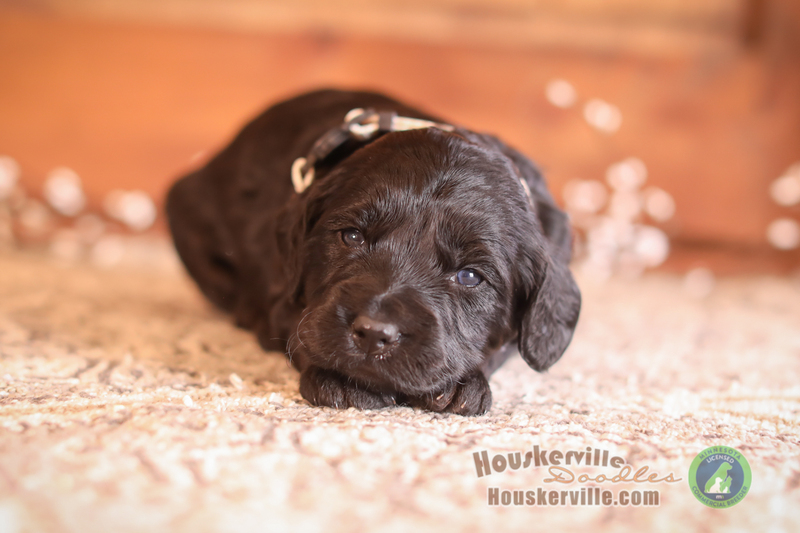 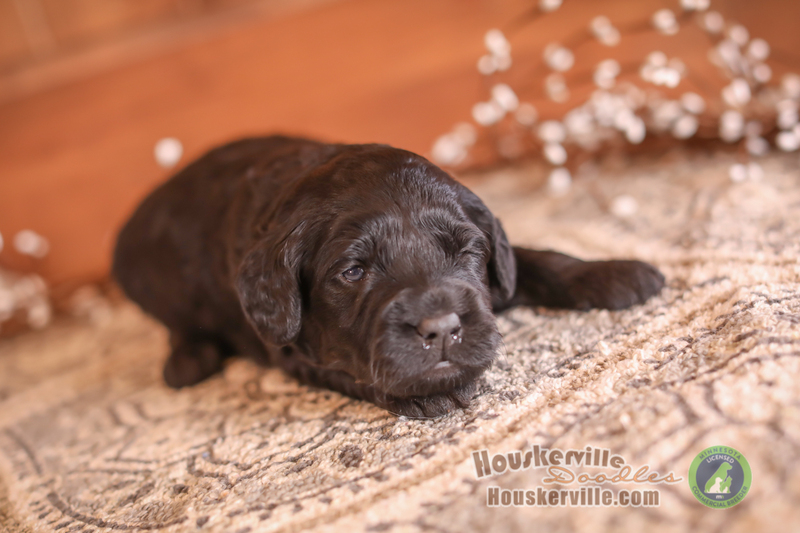 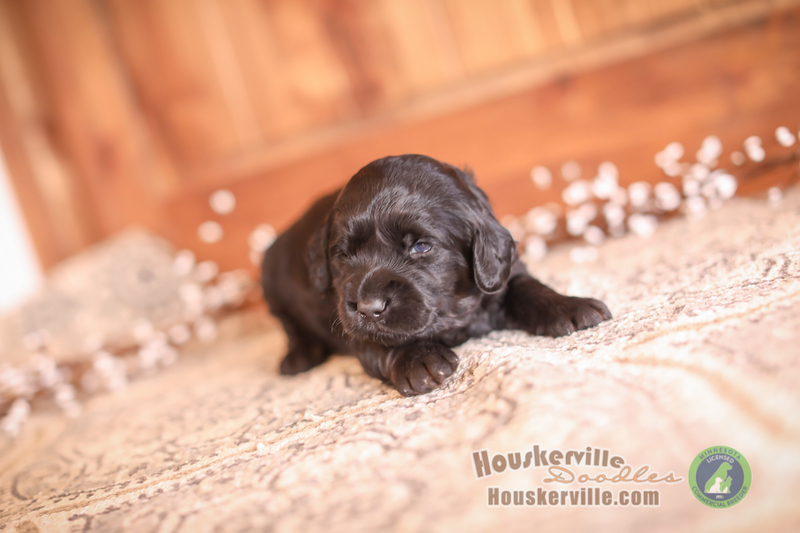 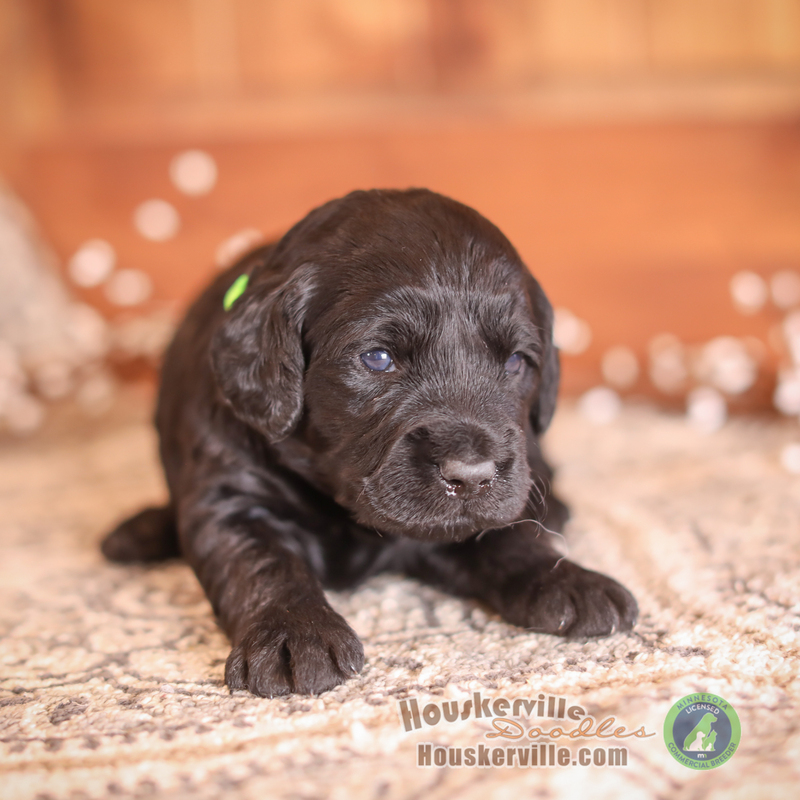 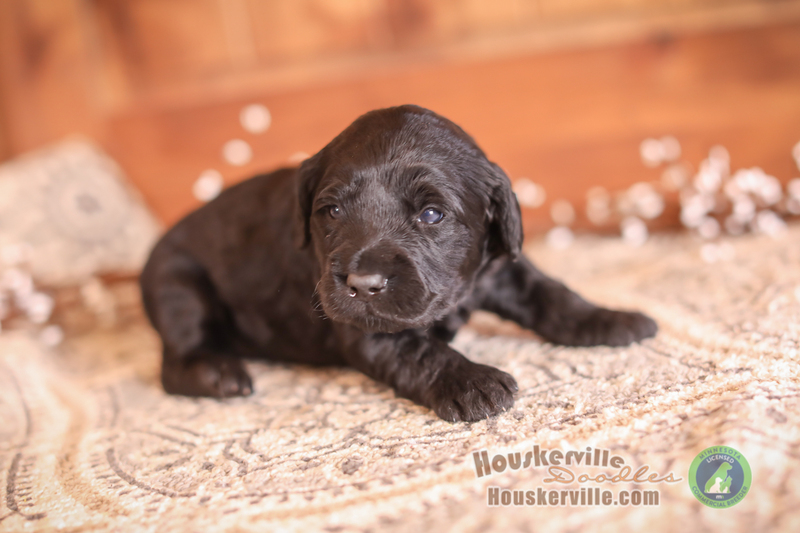 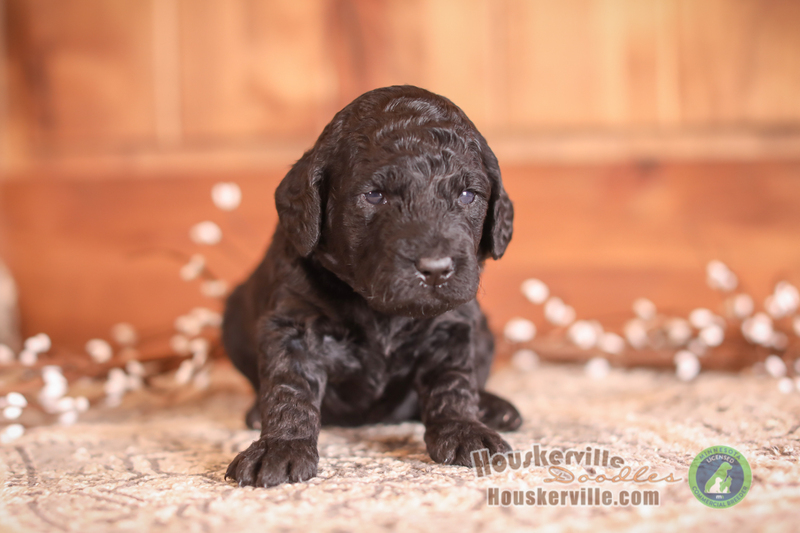 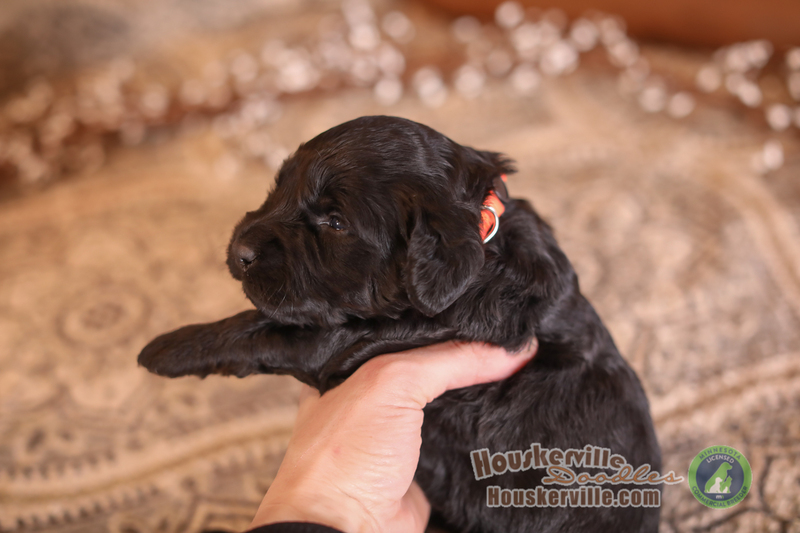 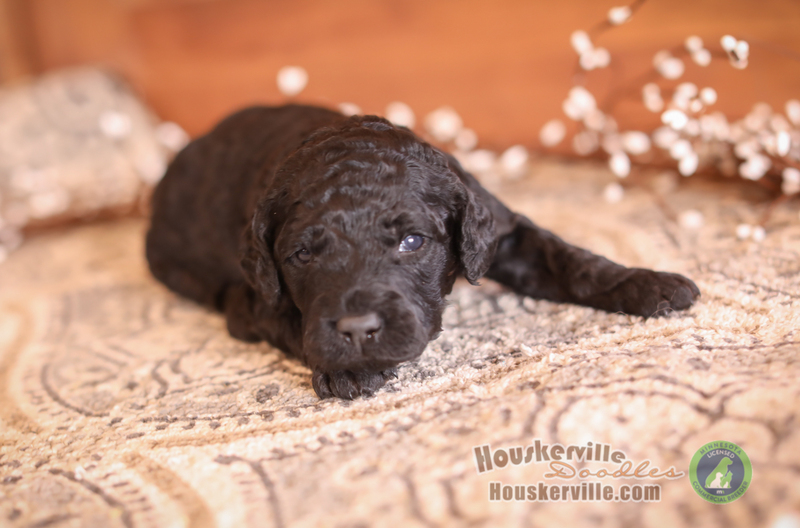 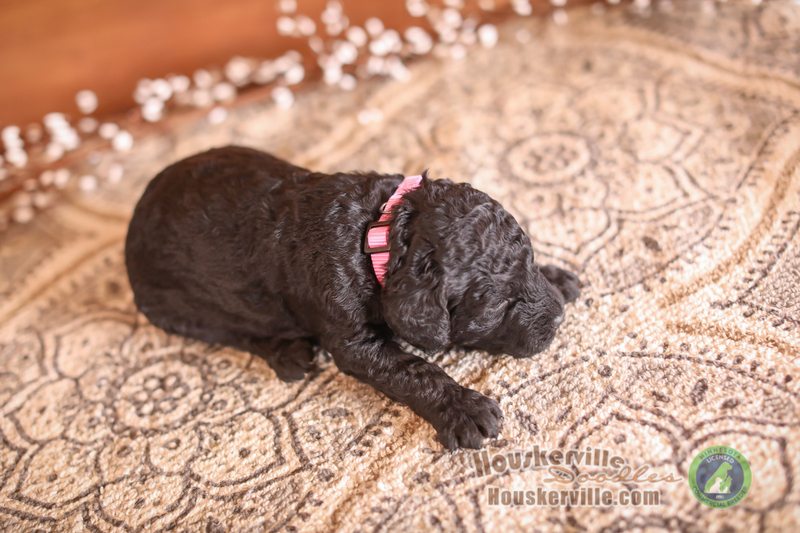 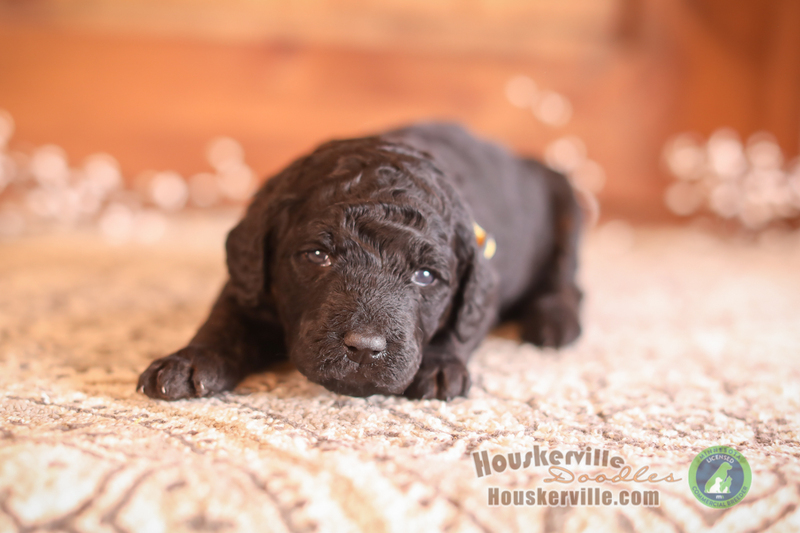 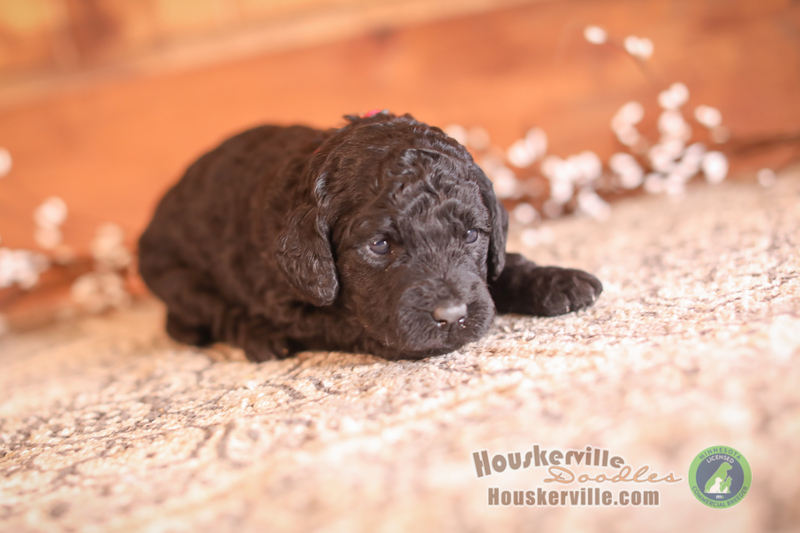 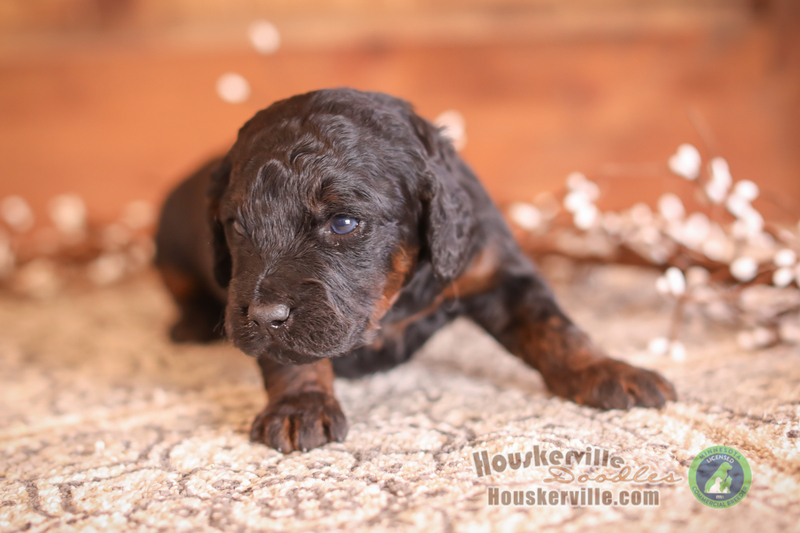 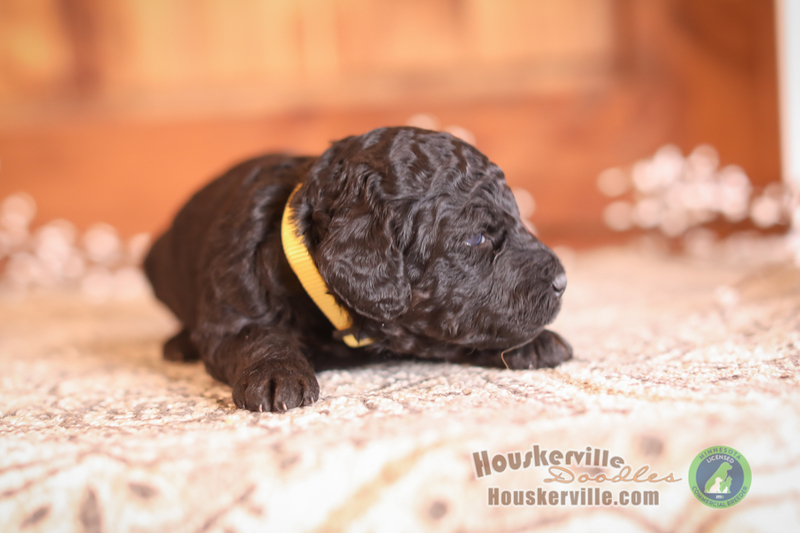 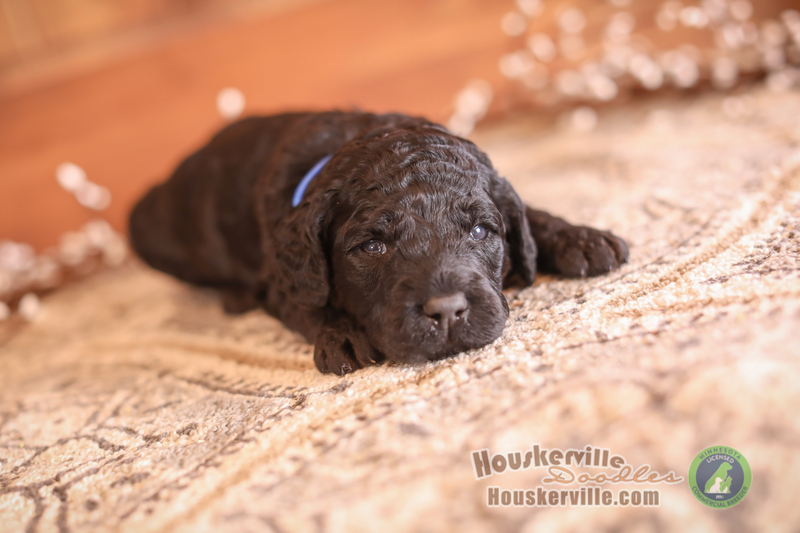 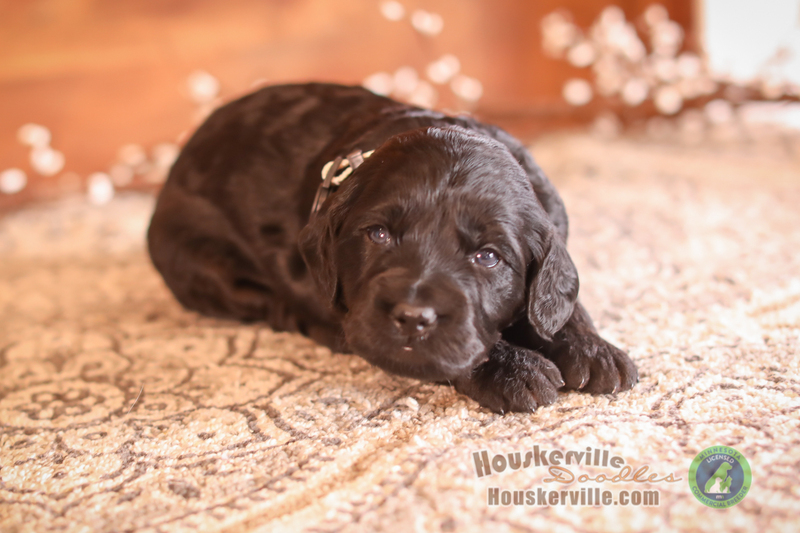 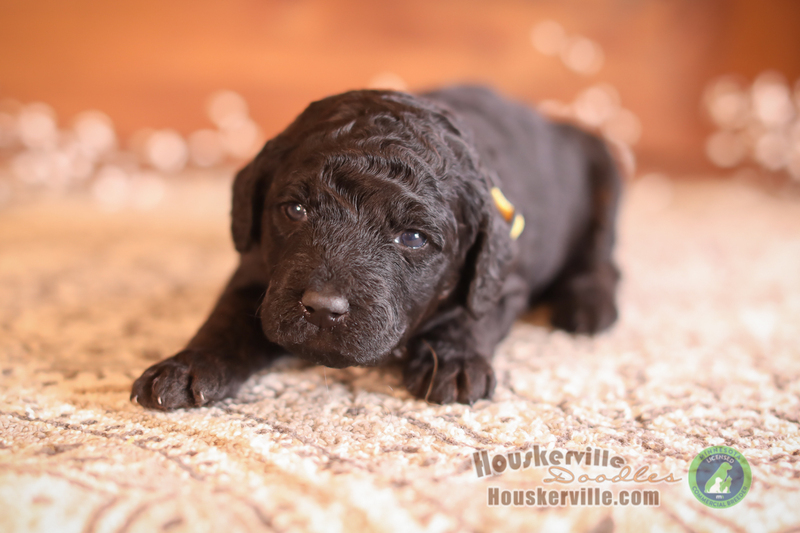 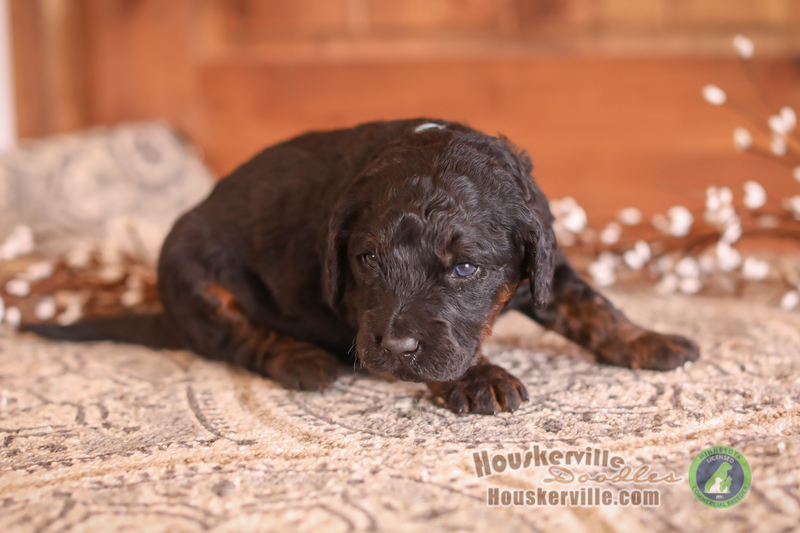 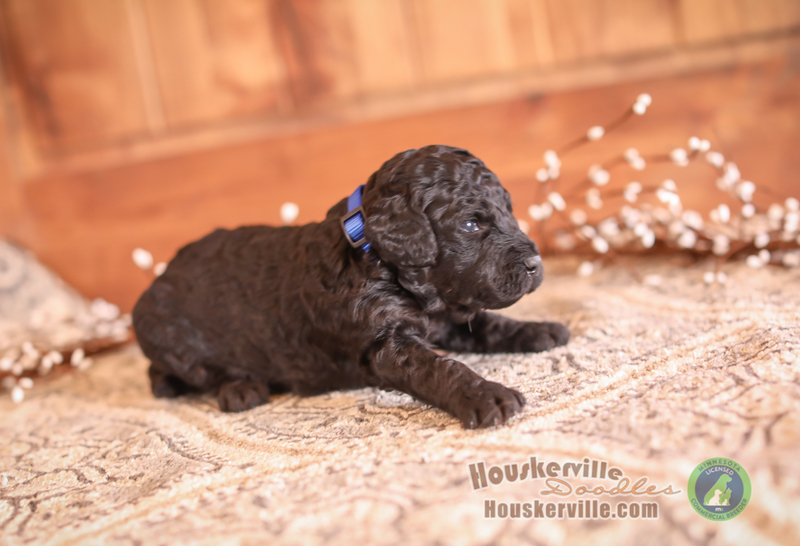 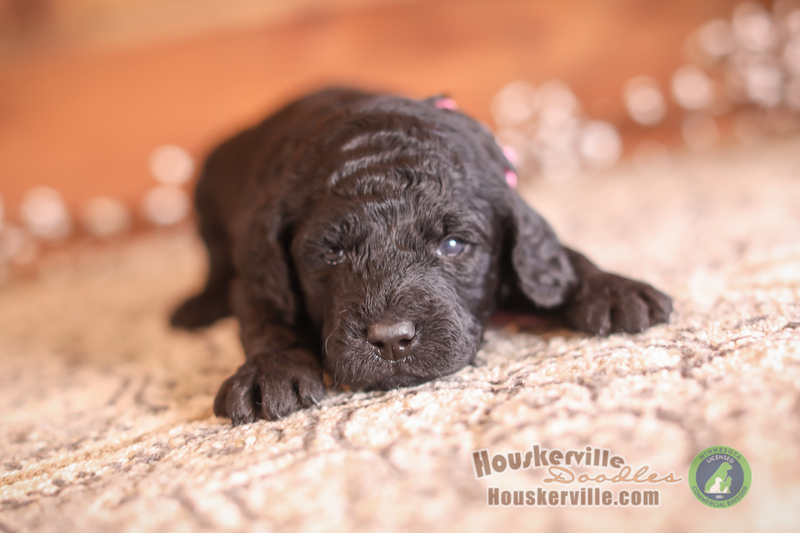 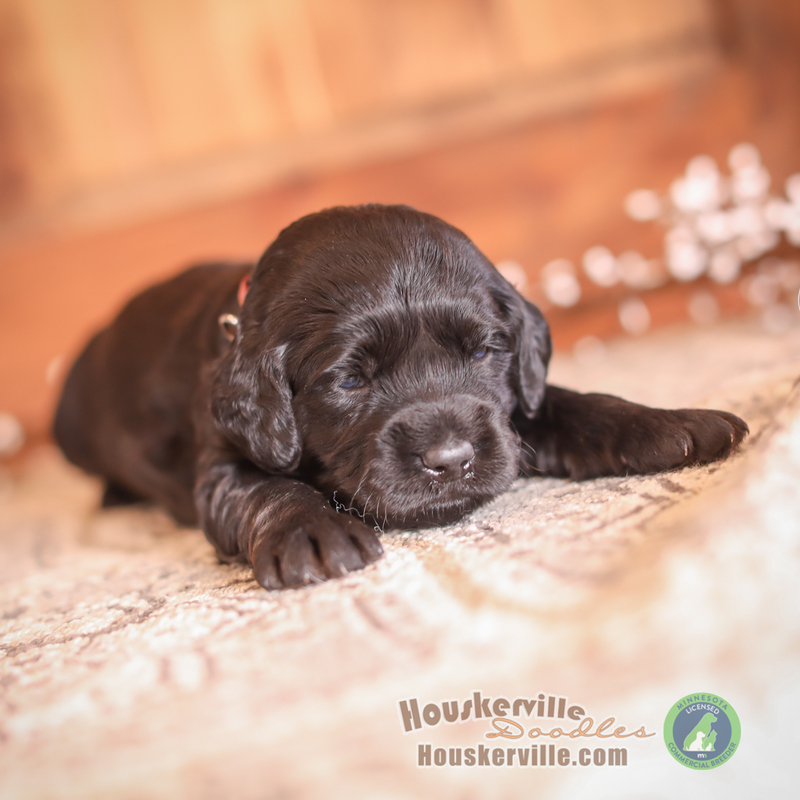 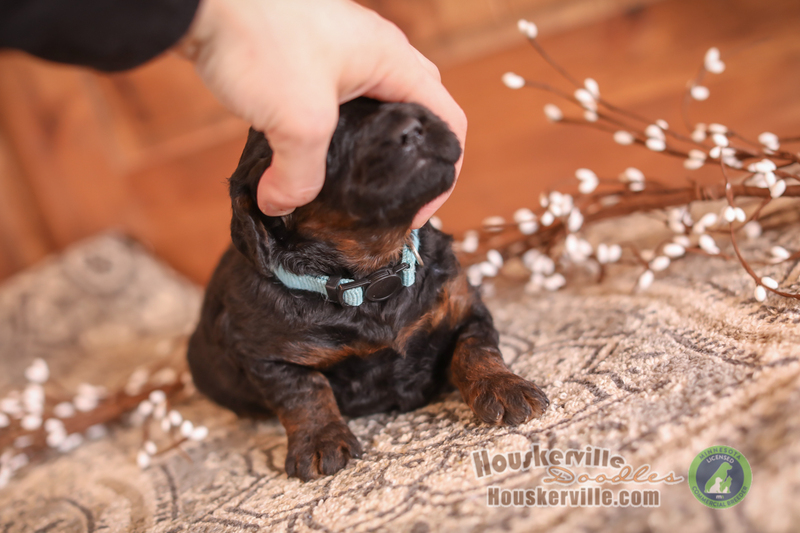 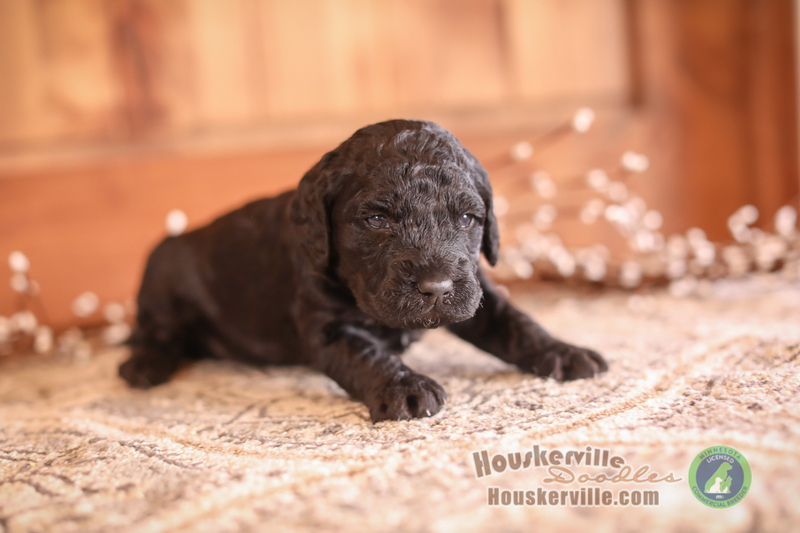 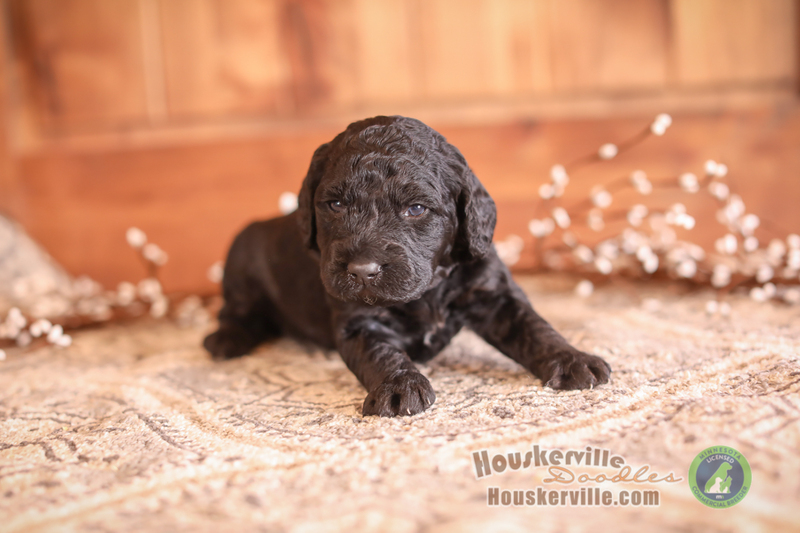 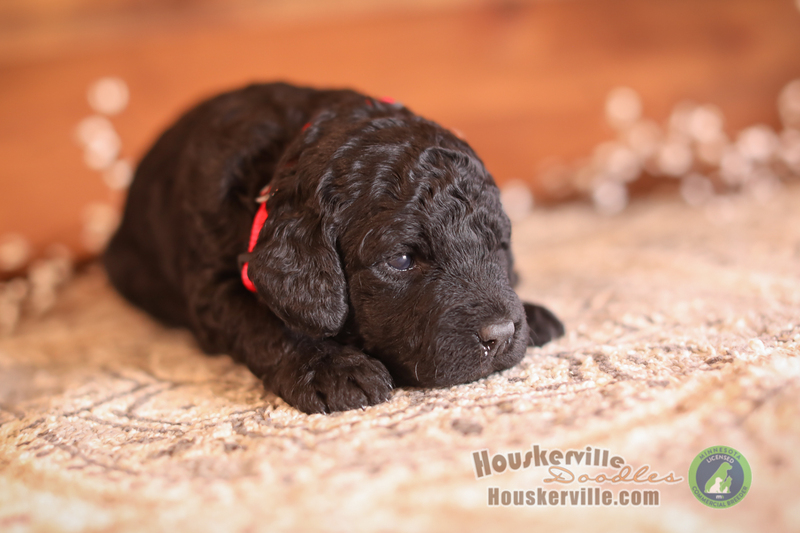 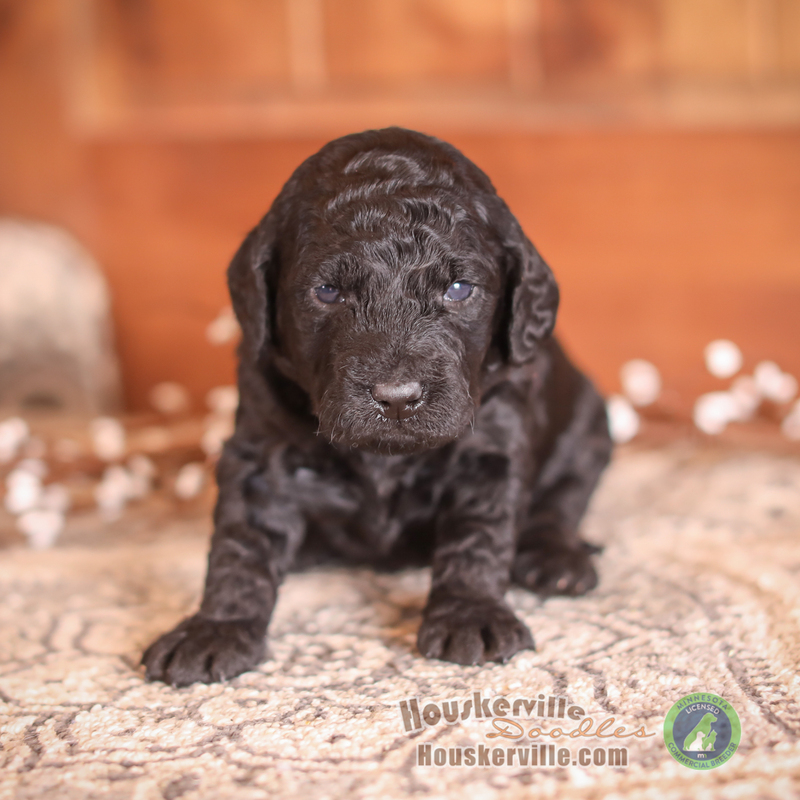 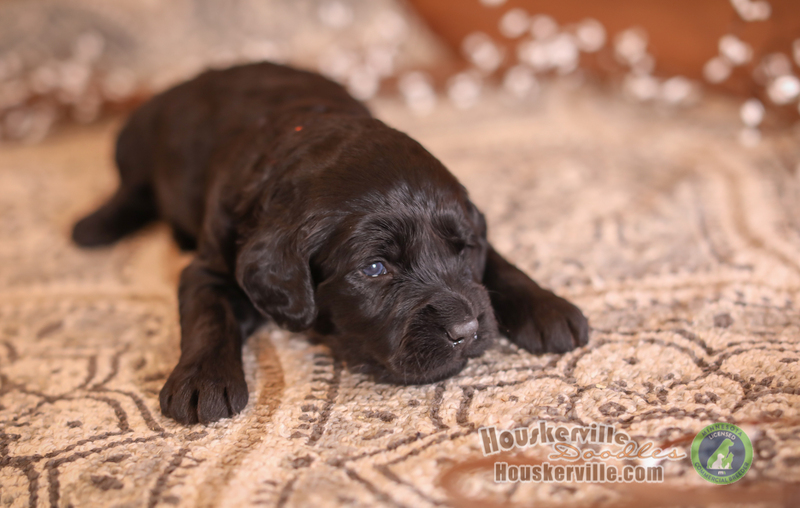 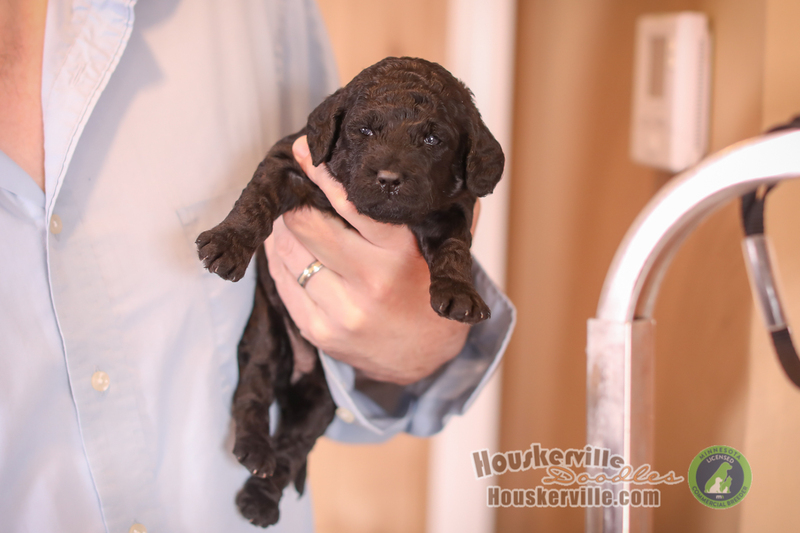 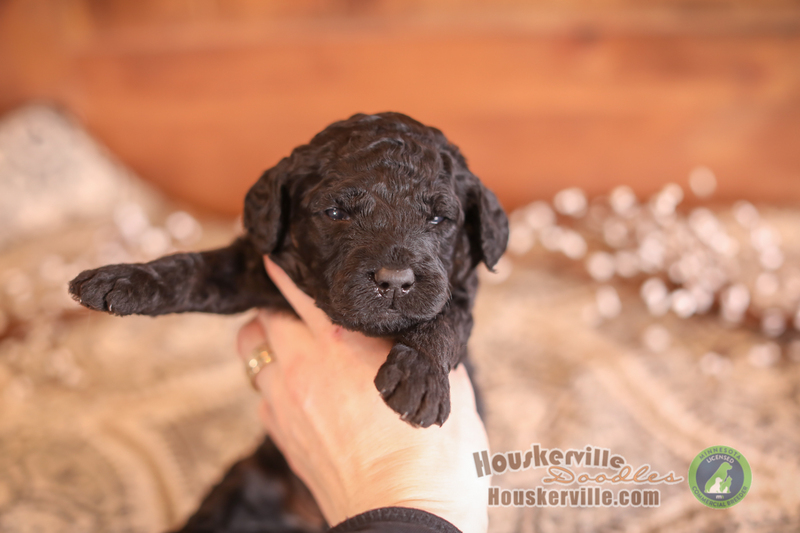 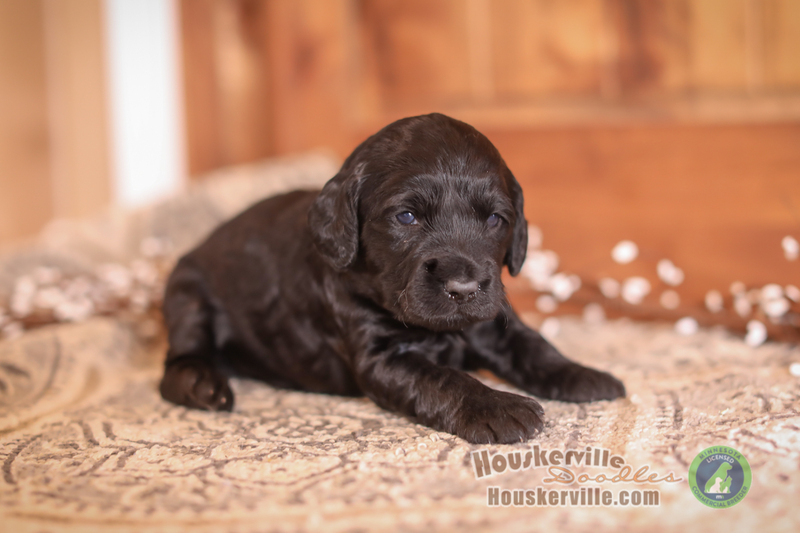 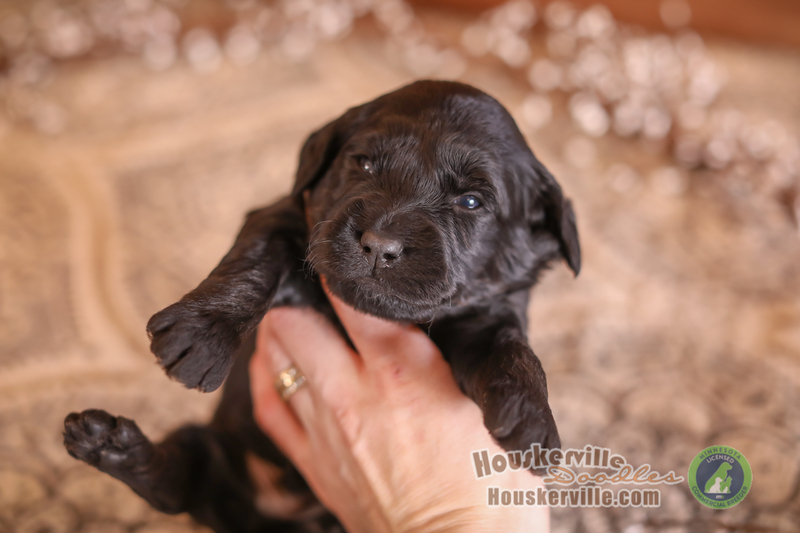 Born on March 31st and will be ready to join their new homes on May 26th, 2019 ***SEE NEW 3-WEEK OLD PHOTOS BY SCROLLING DOWN! 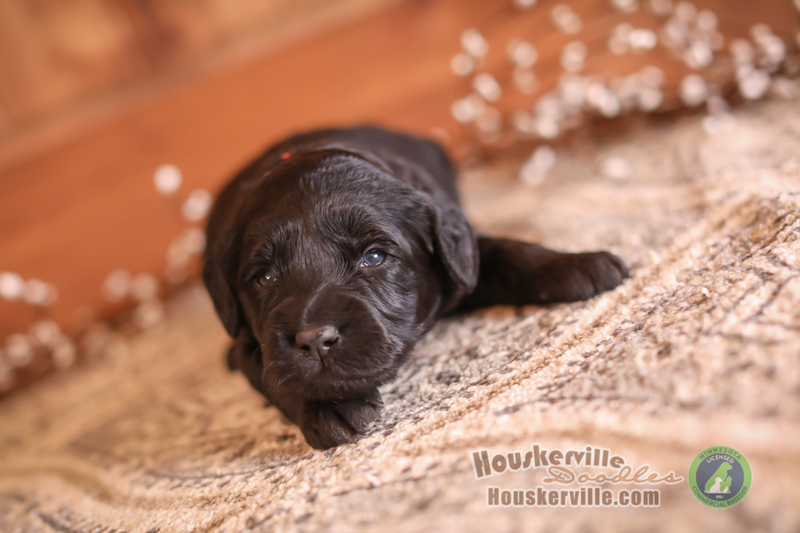 **We will have red F1’s sometime this summer, but they will be priced higher.